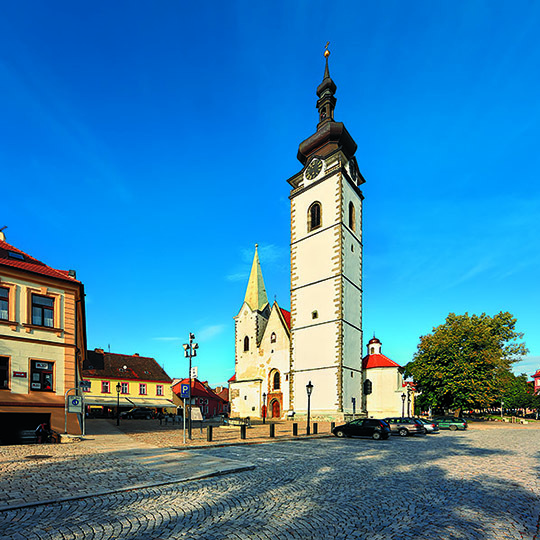 One of the most visited and architecturally most beautiful Bohemian towns is the former district seat that lies in the heart of Southern Bohemia. Town of Písek is located on the road connecting Prague with the town of České Budějovice, approximately one hundred kilometres from the capital city and fifty kilometres north from the South Bohemian metropolis. The town of Písek lies on both banks of the Otava River. 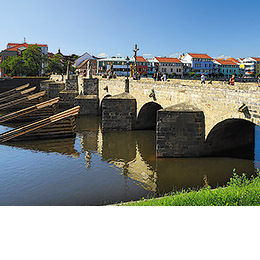 The Stone Bridge, built in the 3rd quarter of the 13th century, links both sides. 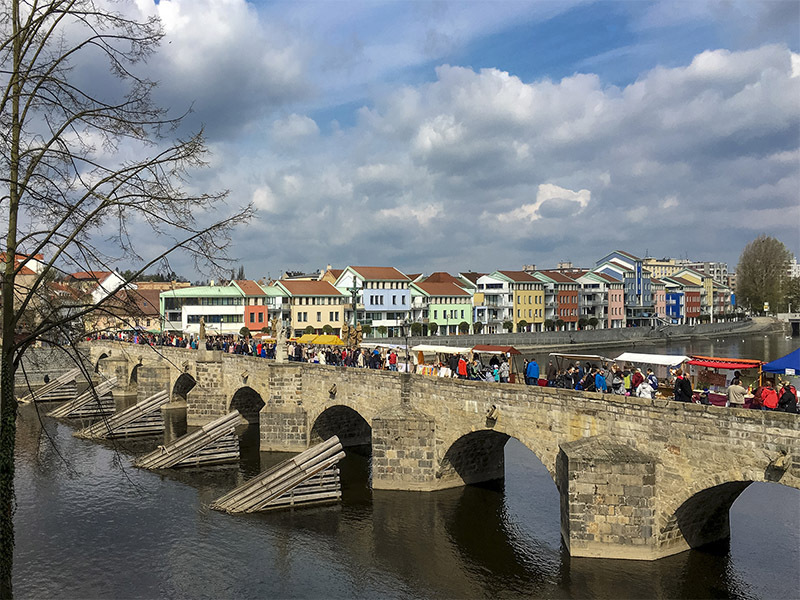 It is not only one of the oldest bridges in Central Europe but also the most prized monument in the town and the pride of Písek residents (see pages 37– 42). 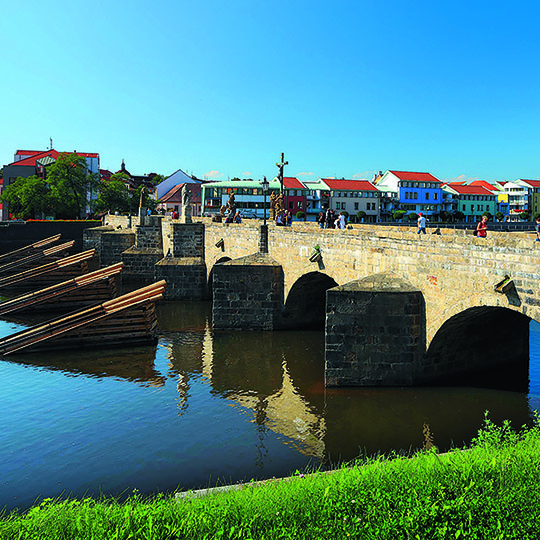 The Stone Bridge, however, is not the only monument. The town has monuments almost everywhere you go; after all, it was a royal town. 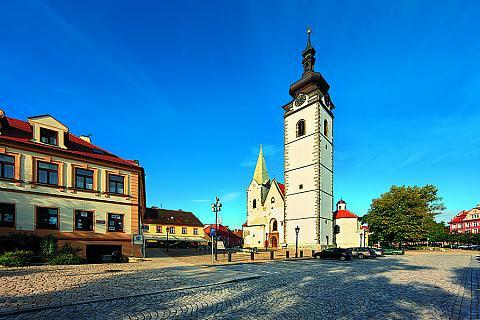 The ancient town of Písek with a preserved historic heart gradually changed into an industrial town, the symbol of which became the Jitex textile factory. 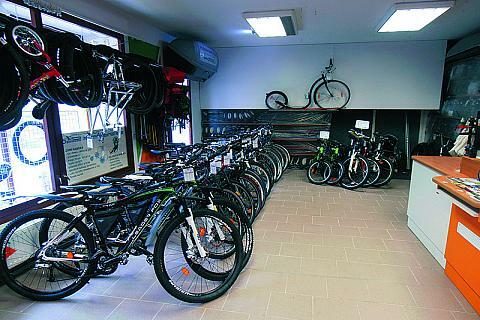 The town of Písek has also turned to the engineering and electro-technical industries in the 21st century. 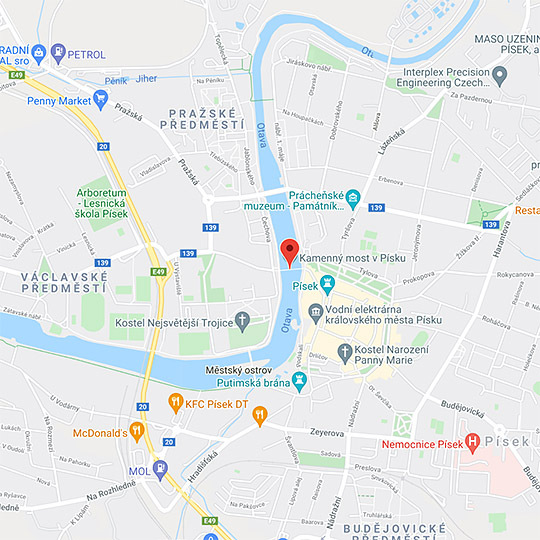 Písek attracts entrepreneurs with its favourable geographical location and great transportation connections to other towns. Production halls of companies that primarily focus on the production of automobile components have been cropping up like mushrooms after the rain at the beginning of this century. The northern industrial zone between Písek and Dobešice is expanding. The residents of the town and the surrounding small towns and villages are finding more and more job opportunities here in blue-collar, technical, and administrative professions. 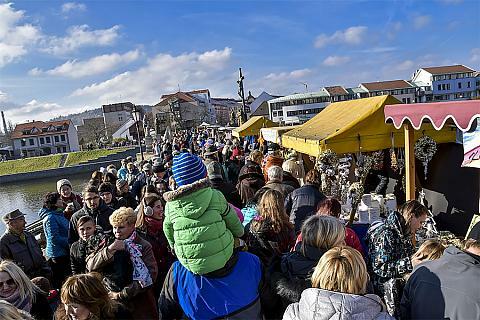 The growth and development of industry in the close surroundings of the town has a positive impact on the entire Písek region. Infrastructure and traffic accessibility are improving. 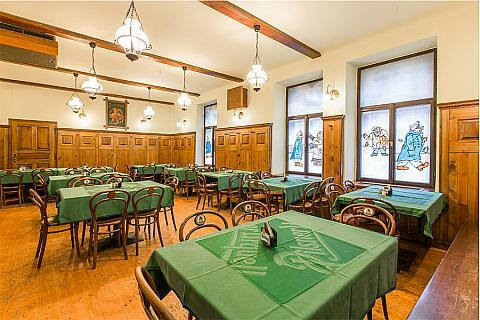 Písek is becoming more and more attractive for permanent living. 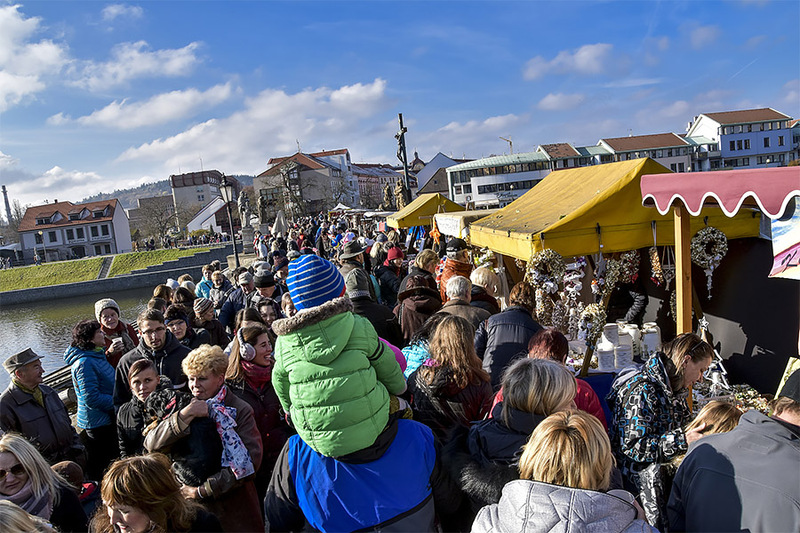 The town of Písek has had a stable population of approximately thirty thousand for the past several decades. Recently, tens of residential buildings have been built along Strakonická Street and the Václavské (Wenceslas) suburbs. The new Pažoutova Street has appeared on the opposite side, and an entire district called “New America” was built in this area. 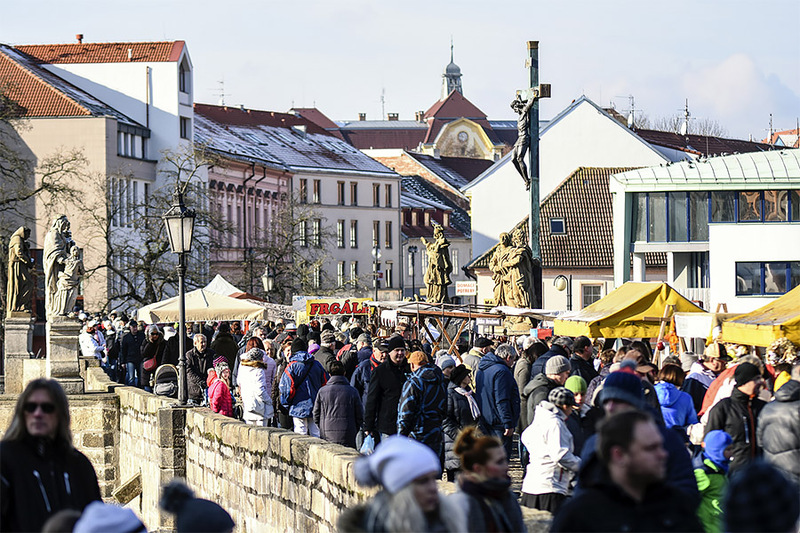 We should also emphasise the importance of Písek as a town with a rich cultural tradition and a high concentration of educational institutions, which is why it has been and is still called the “Athens of Southern Bohemia”. 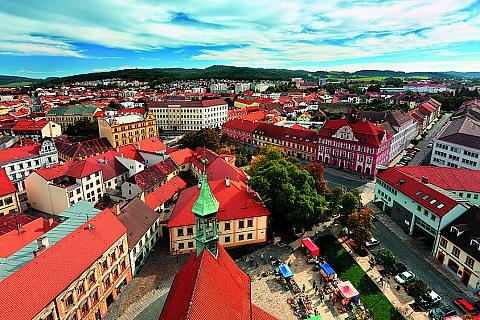 Starting at the end of the 19th century and primarily during the First Republic, between World War I and World War II, many professors and students were active in Písek who have gone down in the history of Czech culture: poets, writers, painters, musicians, etc. 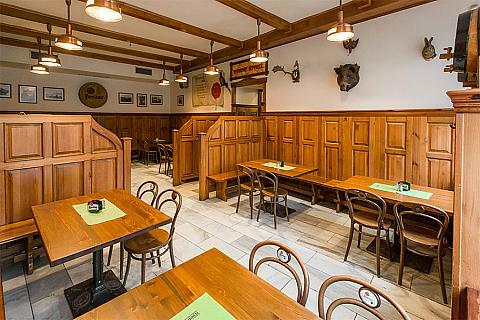 History, culture and education are traditional attributes of Písek that give it its individuality. However, the town of Písek is naturally growing and becoming modernised.